Modern holiday home close to the sea, in Rosolina Mare, near Venice. This holiday home has separated into several brand new apartments with elevator, close to the sea. 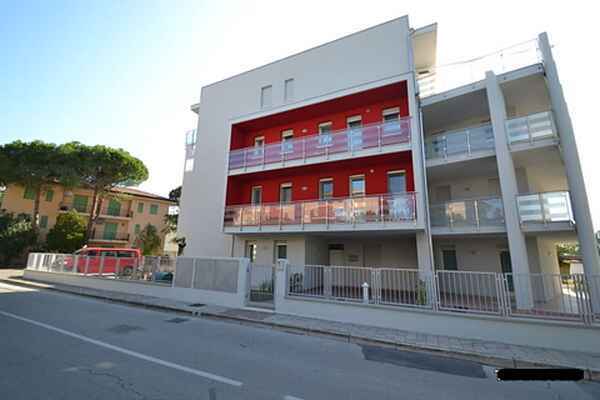 Great location: it is just 50 m from the town center and 500 m from the beach. Well equipped holiday home: satellite TV, mosquito nets, washing machine, air conditioning, free wi-fi internet connection, 2 balconies, 1 parking place. Convention with beach equipped (on request): beach service (with a sun umbrella and two sunbeds) is available from May to September. May, June and September € 40,00 per week, July and August € 70,00 per week. They are allowed a maximum of 5 people per umbrella sun. Rosolina offers several attractions and services to tourist: beach, pinewood, places for children, sea, botanical garden, Delta del Po park, shops, restaurants and more to make your holiday as pleasant as possible. The position is ideal for visiting Venice as well as the rest of the region.